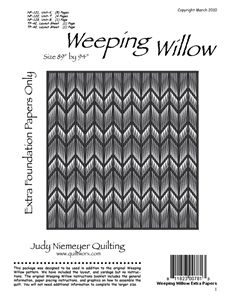 Judy and Bradley Niemeyer designed the foundation papers, paper piecing technique, and layout for the Weeping Willow quilts shown on the cover. 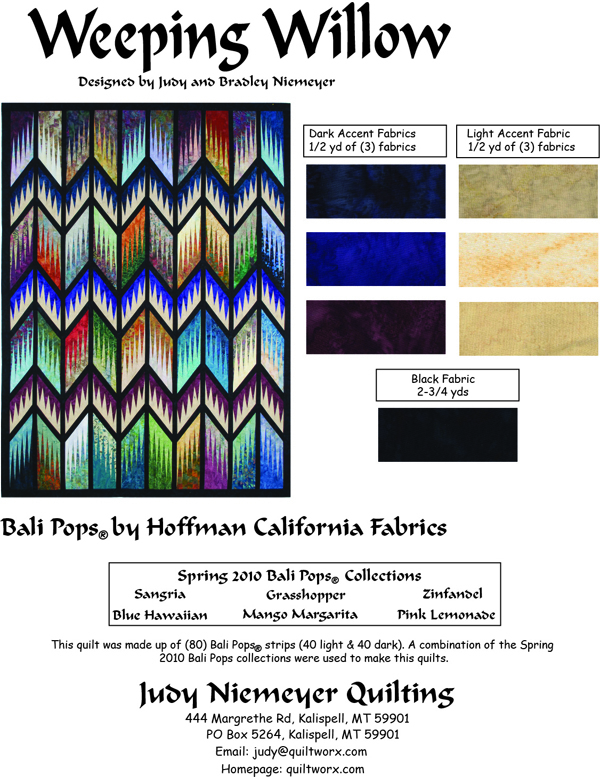 A special thanks to Hoffman California Fabrics for providing the fabrics for the samples shown. Weeping Willow, designed by Quiltworx.com, made by Stephanie Parks. It won the Grand Champion Prize, First Place in Commercial Machine Quilted/Paper Pieced Category, and a Judge’s Choice Award at the 2017 Hennepin County Fair. Diane Nars Wow! Striking is right! 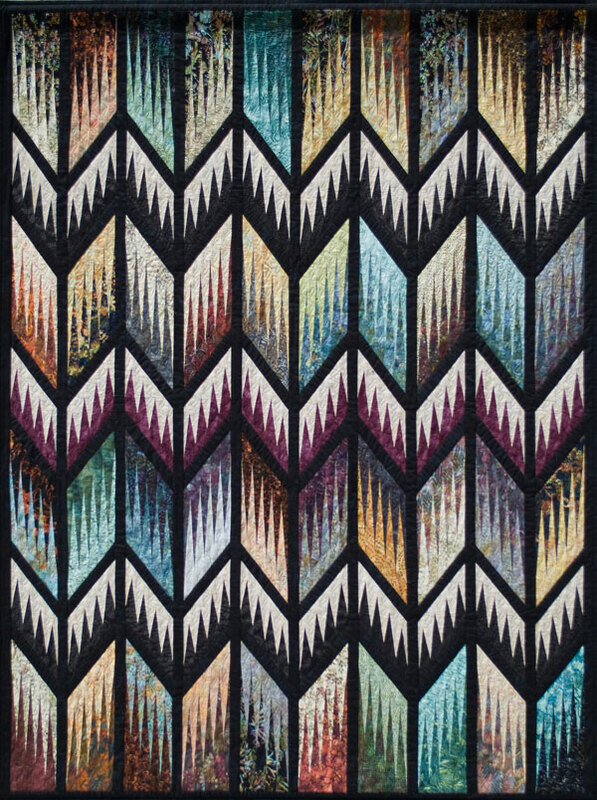 Kay Briske-Cox I LOVE THE WAY THIS QUILT LOOKS..
Ardelia Estes Williams Very striking. Love it. Rhoda Forbes It is gorgeous. Marie Bowman Beautiful but also a bit intimidating!!! Brenda Barnett Retzlaff Love the colors. Weeping Willow designed by Quiltworx.com, made by Linda Bevins. Won a Blue Ribbon at the Vermont Quilt Festival! Weeping Willow, Quiltworx.com, Made by Doris Claude. Josi Moroney Adorable little baby on that gorgeous quilt. Patti Van Oordt Beautiful job Doris. Weeping Willow, quiltworx.com, Made by Linda Crouch of CS Tennessee Quilts. Kathryn Zimmerman Linda glad to see you finished it. It is beautiful. Cheri Forney Gorgeous!!! 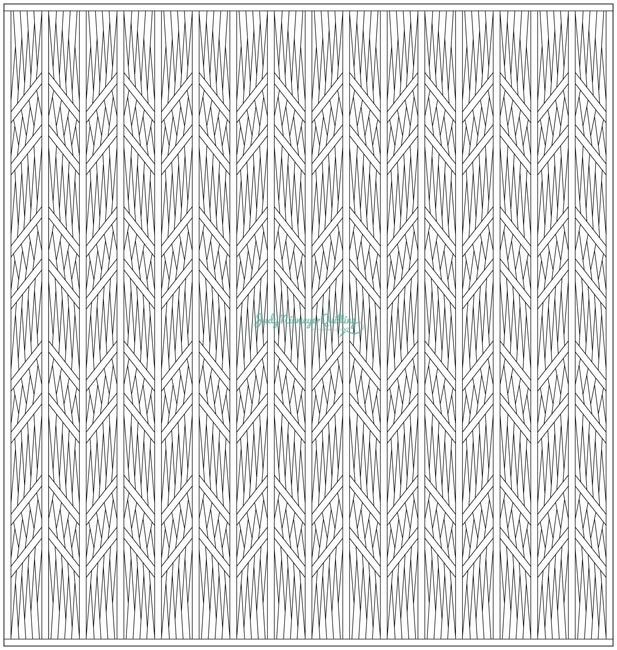 Love the print fabrics in this quilt! Weeping Willow, Quiltworx.com, Made by CS Batiks Galore. Monica Cook McDonald Love the colors great. Weeping Willow, Quiltworx.com, Made by CI Linda Tellesbo.